We are Water Damage Claim Experts! Our Public Adjusters know how to properly assess and ultimately settle your water damage claim. Some of the most common claims that our Florida Public Adjusters see are water damage claim. 90% of our calls are Policyholder complaining of Underpaid Water Damage Claim or Denied Water Damage Claim. These claims are often from plumbing leaks or weather / storm related and as many learn throughout the process, they can be much more complicated than they appear. There are a minefield of exclusions that can easily result in a complete claim denial if presented improperly to the insurance company. If you have ever returned home to be greeted by water rushing under your door, you very quickly came to appreciate the enormously destructive power of something as simple as a toilet overflow, broken dishwasher hose or burst pipe. Do you know what it will take to get your property back to the pre-loss condition after suffering a water loss? Did the water wick up your walls? That’s right, it can and does soak up into your drywall like a sponge which can eventually lead to mold growth. Complimentary Water Damage Claim Review! 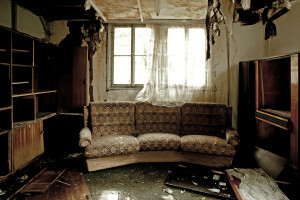 All damages are not visible to the naked eye when dealing with a water damage claim. 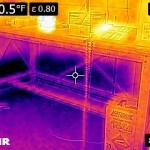 We utilize thermal imaging technology in order to properly and fully assist our clients with water damage claims. Complimentary Water Damage Claim Consultation!